Stop discussing the negatives of not being safe. Instead, focus on the positives of buying-in to safety. 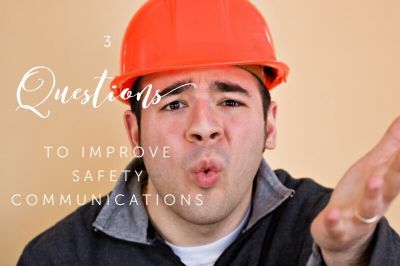 Ask employees about how they perceive the safety program and they will most likely answer that it's dull, boring, repetitive, mind-numbing, disengaging, and it tries to scare you into compliance. That's because safety has been focused on following rules and avoiding injury or accidents. But like everything else in life, safety evolves. Sure, there is still an expectation of meeting the minimum standards of safety. But, that's the least that the law will allow you to do. If the focus is to achieve the minimum standard, you are chasing compliance - the standard that you are not allowed to fall below. And when safety programs are focused only on achieving the minimum, that's where the organization will live. As organizations are becoming more people-centric, they are integrating people-development programs. 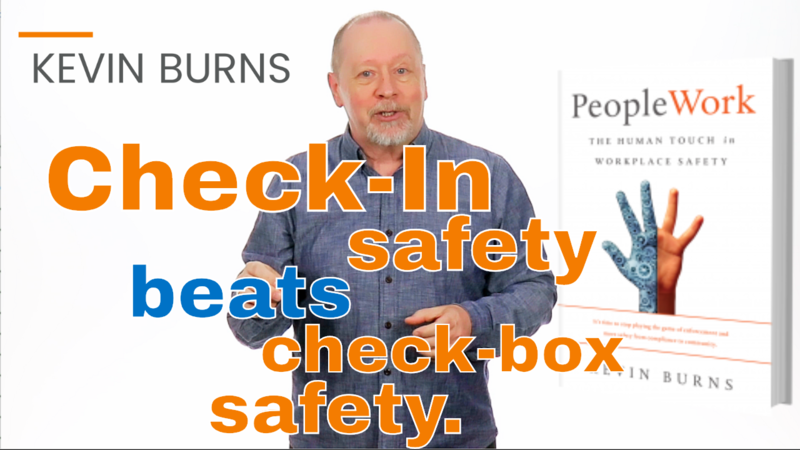 You cannot develop your people without including safety. The best-managed companies and employers-of-choice still value a profit but not at the expense of their good people. They are organizations that attract the best employees and hang onto them. As I say regularly, the best place to work is always the safest place to work. The best employees are attracted to workplaces that focus on achieving positives, more than just avoiding negatives. The best workplaces have a plan to make the experience of working there a positive one. Leadership is not forced or thrust upon anyone. It’s voluntary. And personal safety leadership builds great teams. A commitment to teamwork and safety. It’s all you need to go from newbie or lowly front-liner to leader. To become a safety leader requires a commitment to the welfare of your teammates. You can't build a strong team without caring about the safety of the members of the team. In this way, you can use safety build leadership in safety and teamwork. 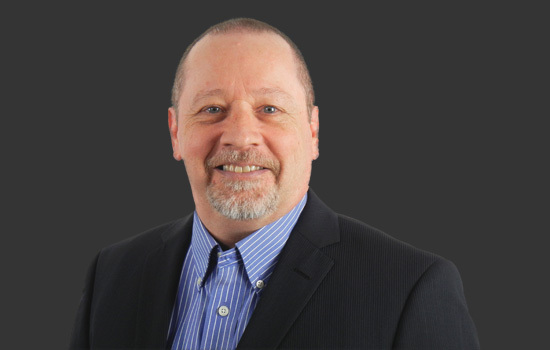 While it might be easy enough (with applied work) to lift yourself up from the front-line to leader in the real world, the safety world hasn't been terribly well-equipped for it. It has been focused on compliance, following rules and filling out paperwork; all treated very scientifically and meticulously. Historically, it’s been all business. Add a top-down model of management and you have a system that doesn’t look particularly attractive to want to buy-in to. Where's the teamwork? you might ask. While the focus in on processes and procedures and rules, there is little of the “person” in personal safety. To be a safety leader, you have to be better at the job than the others. The best organizations give world-class safety performance. They don't do it with a mediocre effort, mediocre standards or mediocre supervisors and safety people. They do it by surpassing industry average targets, a focused engagement with employees and with safety people and supervisors on top of their game. Those companies search out and employ supervisors and managers who set a higher standard for themselves. They seek out those who want to inspire their own crews to be better, to reach farther, to achieve at a higher level. You don’t build championship teams by shooting for the middle of industry averages. You don’t instill a positive safety culture by settling for average performance. To lead, you have to do not just what others are not doing, but by doing what they’re not even prepared to do. World-class safety is driven by wanting higher standards. Higher standards drive greater effort. Greater effort is driven by higher-performing safety people and supervisors. World-class safety is not achieved by a mediocre effort, standards or people who don’t seek to be exceptional. 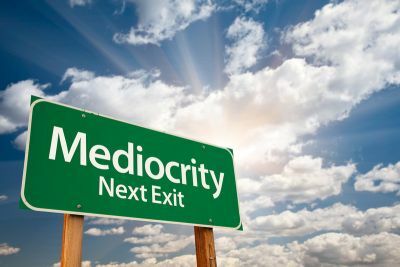 Without exceptional people and standards, you're shooting for mediocrity. You will become world-class by luck. Here's the problem. Not every safety person is a high-performer. Like every other industry and profession, there are below-average and average performers. Then, there’s the top echelon; the elite - the leaders. Which of those sounds like you? How about a short self-assessment? 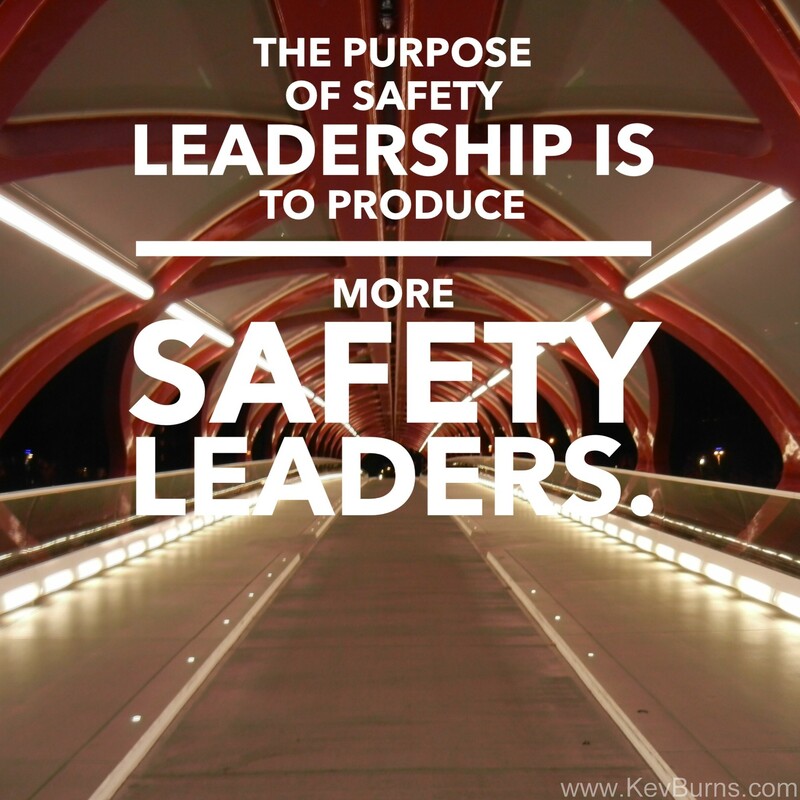 It’s not the framework that determines safety success. It’s what happens inside the framework. Each year, sports leagues adjust and tweak their respective rules in an effort to make the game more entertaining for the fans. They also adjust rules to better protect their players and make the game safer. But rule changes don’t always prevent penalties or injuries. Even with new rules, sometimes tougher rules, individual players still choose to step outside of the rules. As much as there needs to be a framework to play the game within, it’s not the rules that improve the play. It's what the players do, the actions they take within the rules that improves the play. It's also what makes the game more exciting for the fans and safer for their fellow players. Safety performance is only as good as the people who are engaged in safety. 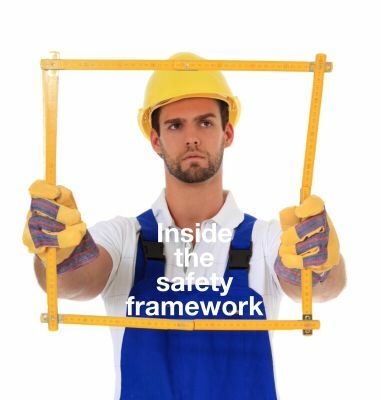 Safety rules and process are a framework for how we are supposed to work in safety. But it still comes down to what each individual employee chooses to do within the rules and process of safety that determines the safety program’s success. Communication gets better when your intentions for communication become clearer. Clear, concise safety communication is critical to front-line crews and employees. 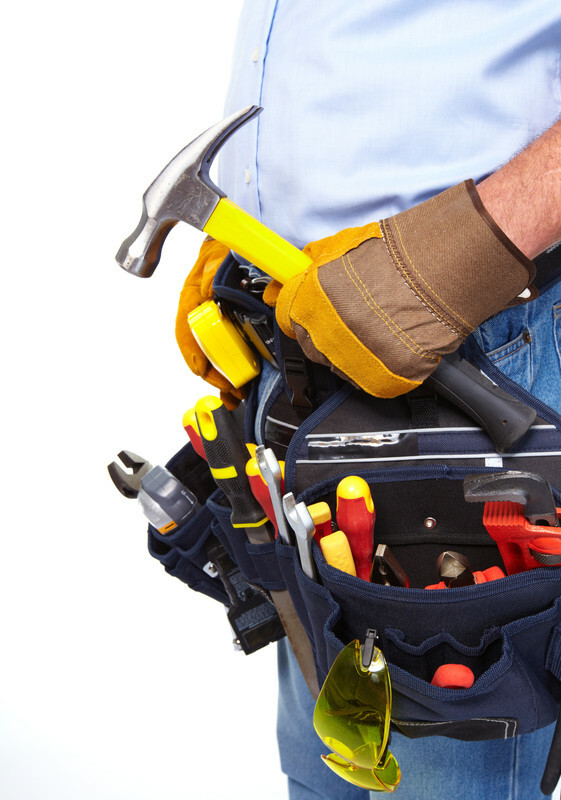 As a supervisor or safety person, you need to be fully understood in your communication. There’s no room for ambiguity. There can be no doubt about what you’re trying to say and what you want them to do next. Too many supervisors ascend to their positions because they’ve been on the job the longest. It's not because of their communication skills. There is no direct connection between tenure (seniority) and communication. In fact, the longer you’re in the job, the more you assume others already know what they should know. Safety people and supervisors are not required to have any schooling in either communications or management skills. But the biggest part of the job is communicating, right? Companies claim to value safety over all else but unknowingly engage in activities that undermine that desire. 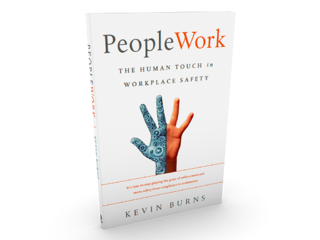 Good companies want to protect their people from harm in the workplace. Of that there is little doubt. A problem exists, however, when deed does not align with word. Over 70% of North American workers are not fully engaged in their job. Without being fully engaged in the job, there is little likelihood that an employee will be fully engaged in safely doing the job. Companies claim to value safety over all else. But they unknowingly engage in activities that undermine that desire. Companies want to become world-class performers in safety but measure themselves against industry averages. Companies say they make safety the top priority but then don't invest in peripheral training. Many don't have support materials to own the hearts and minds of their employees. Eventually employees clue-in and say, "don't tell me how much you care - show me." The safety world is moving away from simple compliance models. 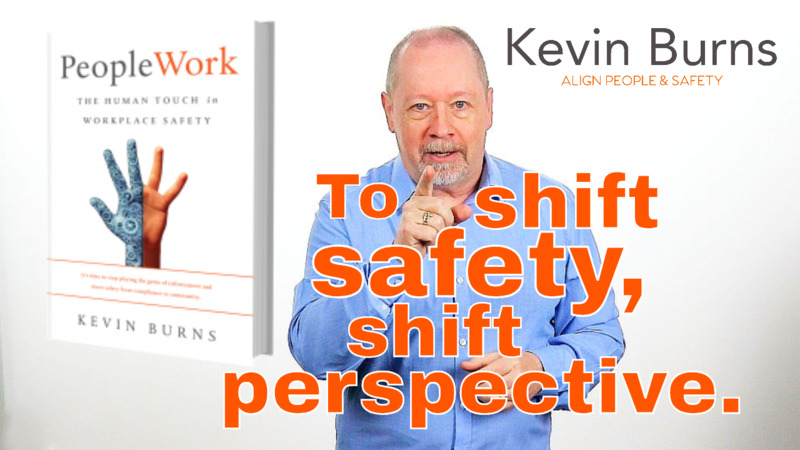 Integration of omnipresent safety (permeating throughout the organization) is the next level. Here's where the real work needs to be done. Let's start with the 3 things that organizations must do better before safety performance can improve. You don’t instill a positive safety culture by settling for performance within the average. The best organizations give world-class safety performance. They don't do it with a mediocre effort, mediocre standards or mediocre safety people. They do it by surpassing industry average targets, a focused engagement and with safety people on top of their games. They search out and employ supervisors and managers who set a higher standard for themselves. They seek out those who want to inspire their own crews to be better, to reach farther, to achieve at a higher level. You don’t build championship teams by shooting right for the middle of industry averages. You don’t instill a positive safety culture by settling for performance within the average. If you want to lead, you have to do not just what others are not doing, but by doing what they’re not even prepared to do. World-class safety is driven by having higher standards than the average. Higher standards drive a greater effort to set themselves apart. Greater effort is driven by high-performing safety people. World-class safety is not achieved by a mediocre effort, standards or people who don’t seek to be exceptional. Without exceptional people, you're shooting right for mediocrity. You will not, and I repeat, NOT get there by luck. Trying to run a safety program on rules enforcement is meeting with stiff opposition. Today’s worker has no appetite for being constricted by rules. Safety is at a crossroads; where the old safety cop is being forced to give way to the new safety leader. It's a bit of a bumpy ride right now but one that we will be over in a few years. Safety leaders will emerge to begin coaching better safety performance from their teams. 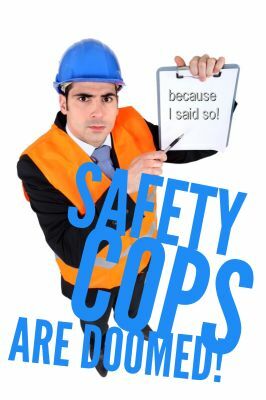 Safety cops in future will have a tough time finding work. The market is changing and so are the players. Millennials (Generation Y - under age 32), comprise 45% of the total workforce. Baby Boomers (over age 50) make up only 31% of the market. And Boomers are retiring in droves. As Generation X (21%) moves into the more senior positions of influence, they are siding more with the Millennials. Gen X understands them better.